Patricia A. Nagel (Goff), 78, of Dunellen, passed away on Saturday; September 1st, 2018 at Robert Wood Johnson Hospital in Somerville with her loving family by her side. Born in Plainfield to the late Joseph and Maria Goff, Patricia has resided in Dunellen for over 60 years. Patricia worked as a registered nurse for over 58 years, most recently working at Brandywine Assisted Living in Bridgewater. She is a communicant of St. John’s Catholic Church in Dunellen, and belonged to the Catholic Daughters Court Regina Coeli 940. Patricia loved spending time down the shore with her family. 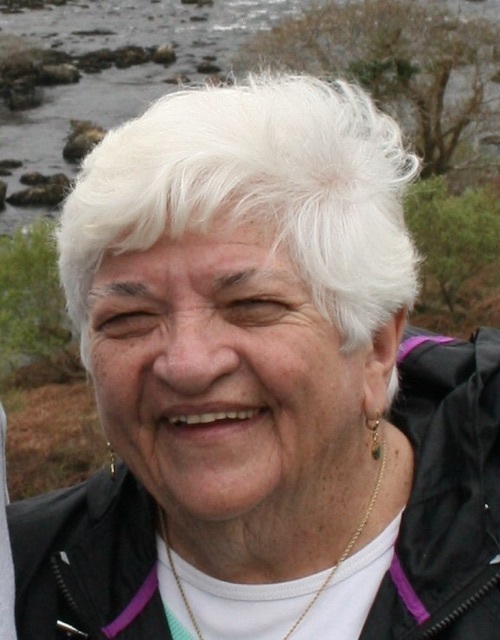 She never missed any of her Grandchildren’s sporting events, and she was always active in the local Booster Club. She will be greatly missed by all who knew and loved her. Patricia is predeceased by her husband Arthur (1993.) Surviving are 4 children; Mark Nagel and wife Donna of Hillsborough, Timothy Nagel and wife Lorette of South Plainfield, Peggy Doorly and husband Bruce of Raritan, and Kathleen Nicholson and husband John of Middlesex, 10 Grandchildren; Brittany, Kelly, Jenna, Megan, Lauren, Jenn, Liam, Claire, Chris and Katie, and many loving family and friends. There will be a visitation on Wednesday; September 5th, 2018 from 3-8PM at the Sheenan Funeral Home, 233 Dunellen Ave., Dunellen. A Mass of Christian Burial will take place on Thursday; September 6th at 10AM at St. John’s Catholic Church, Dunellen. Burial to follow at Holy Redeemer Cemetery, South Plainfield. In Lieu of flowers, donations can be made in Patricia's name to St. Johns Church, 317 1st street, Dunellen, NJ 08812 and the Elle Foundation, , 1041 Route 202/206, Bldg A, Bridgewater, NJ 08807.